Long-term Customers from United States Visiting Moflon Company! On December 9th, 2014, the long-term cooperative customers from United States came to visit MOFLON Company. 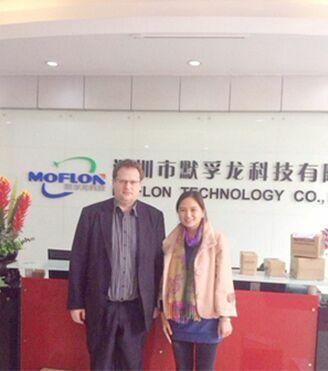 Through investigating MOFLON Company from all sides, our American guest was impressed with the MOFLON products. At the same time, our guest had a more deep and comprehensive understanding. Moreover, a mutual beneficial cooperation would enter a new step in 2015. Pri: Clients from United Kingdom Visiting Moflon Company! Next Long-term Customers from India Visiting Moflon Company!